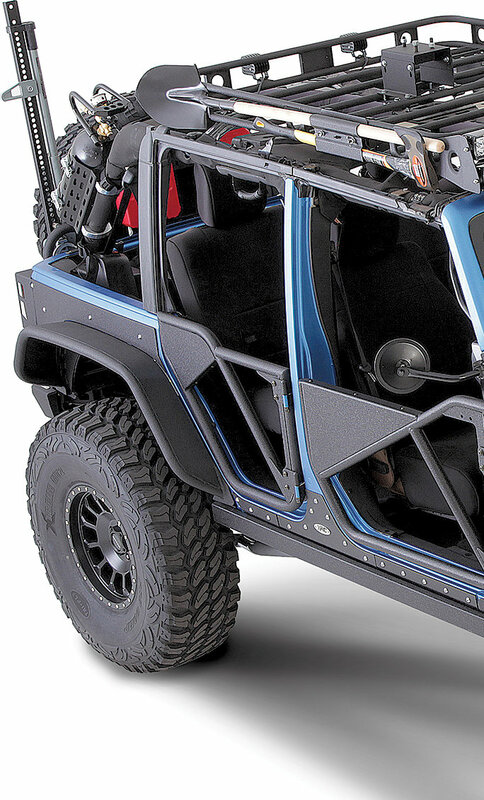 Smittybilt XRC Fender Flares for the Wrangler JK have a 100% steel construction for extra durability and feature a black power coated finish for immediate use or can be painted to match vehicle color. The stream line design to helps to increase suspension articulation all while maintaining a street-able look. Less is more when it comes to XRC Fender Flares, where the OE fender does not meet your needs. Great fenders. Look great! Installation took a little longer since I had to install the nutserts but no issues. Read the instructions prior to installing. Very solid. Any info on what these weigh?